Job interviews are competitive, and the other applicants are unknown. Without the chance to study other candidates, your best bet is to make sure your interview is as strong as possible. You’ll want more than the right credentials—you need to stand out among equally qualified candidates. An MBA can be valuable in this regard. 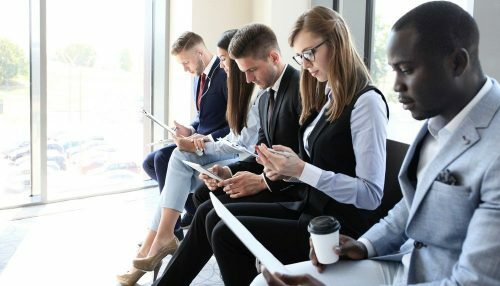 An advanced degree positions you as more capable than candidates with only a bachelor’s degree, proving to employers you’ve studied advanced business concepts necessary for high-level careers. You probably did some research on the company during the application process, but it’s time to hunker down now that an interview is on the calendar. Go further than the company website and the first page on Google. Dig for press releases and independent news articles about developments within or related to the business and industry. The former tells you what the company is proud of and the image it wants to present to both consumers and competitors. It can also provide details to weave into the interview. Meanwhile, news articles give you an idea of the public opinion surrounding your potential future employer, which you use to your advantage. For example, if the company you’re interviewing for is in the middle of a public relations crisis, you can ask how the role you’re applying for helps the business create a stronger, more positive standing. Stage actors have one shot to engage their audience. If they forget their lines, they lose an entire auditorium of theater-goers. As such, the performers spend countless hours practicing, going through their lines, marks and costumes until they can perform the play in their sleep. That’s why you should practice, just as actors do. You don’t have to memorize a script, but you do need to review all the necessary details about a position in your head. Make sure you know the title, job description and, if you can find it with a little research, the direct supervisor. Also, practice how you’ll speak and present yourself, both of which are incredibly important during an interview. You want to appear accessible, so sit with your arms uncrossed and your shoulders back. This straightens your posture and opens up your chest, conveying intelligence and openness. Alternatively, sitting hunched forward with your arms crossed makes you seem stubborn and defensive. Practice adjusting your posture in front of a mirror to see how your body language appears to another person. At the same time, run through a few mock questions aloud so you know what to say when the time comes. As you practice your talking points, work on minimizing industry jargon like “synergize,” “disrupt” and “curate.” Aside from approaching cliché status, these words are often used by industry outsiders and neophytes to fill in gaps in knowledge. It’s tempting to use jargon as a tool to prove yourself before doing any actual work, but letting the conversation flow naturally shows you have a greater handle on the subject at hand. The business environment has changed, and the same professional uniform isn’t the standard for every office anymore. It makes preparing for the interview particularly daunting. If you don’t know whether the office is casual or professional, you could make the mistake of appearing too relaxed or too stuffy during your first impression. A good rule of thumb is to match the dress level of other employees. Find the company on LinkedIn and look at the profiles of people who work there. It’s a safe bet a person’s LinkedIn profile photo epitomizes their employer’s dress code, possibly with a little sprucing up for good measure. You can also observe how the company leader dresses during professional appearances. Their choice in attire will likely match their business’s dress code and values. For example, Facebook CEO Mark Zuckerberg attends speaking engagements in crew-neck t-shirts, jeans and sneakers, conveying a casual, youthful, tech-focused work environment. On the other hand, Paul Jacobs of Qualcomm appears in a button-down shirt and suit jacket, occasionally sans tie. His company is a little casual—Jacobs is often photographed in jeans—but not as much as Facebook. Every interviewer offers the chance to ask questions, and declining this opportunity is a massive faux pas. Create no more than three questions beforehand—any more makes it obvious you’re running through a list. Use the information you learned in Step 1 to make your questions specific to the nuances of the company and the position. Memorize the questions prior to entering the interview, then alter them to match what you learn as the conversation progresses. Also, try to think of a question or two during the interview itself. As you talk with the interviewer, look for topics where you can ask for elaboration. By asking about something you couldn’t have prepared for, you prove you’ve been engaged in the current conversation. Always leave the interview on a positive note. Don’t let the last topic of discussion be something negative, whether that’s regret over a past job or a comment about the bad weather. Reinforce how much you want to be a part of the organization. It’s not necessarily the content at the end of an interview that matters; rather, it’s the emotion you leave the interviewer with. He or she will remember that feeling more readily than the words spoken, and even such a slight advantage could be the key to scoring a follow-up interview or landing the position. After the meeting is over, send a thank-you email to both the interviewer and the HR professional who contacted you initially. This reinforces the positive sentiment you created earlier. If entering an exciting new career or reaching the executive level is part of your future plans, an online MBA program is a great place to start. Through Villanova University’s Online MBA program, you’ll study the advanced business concepts necessary to land an interview with a top-tier employer. Visit the program page for information on the Villanova curriculum and how to apply.